Help people breathe easier. Learn to use life-saving equipment and care for patients with lung or heart problems, while entering a field that's full of opportunity. What Do Respiratory Therapists Do? Respiratory Therapists assess, treat and care for all types of patients with breathing disorders from the premature infant to the elderly. Therapists provide oxygen therapy for patients who are short of breath and lacking oxygen as well as providing life support to patients who have stopped breathing. A separate admission process must be completed in order to be considered for the Respiratory Care program. Respiratory therapists are mainly employed in hospitals, in departments of respiratory care, anesthesiology, or pulmonary medicine. Others are in offices of physicians or other health practitioners, consumer-goods rental firms that supply respiratory equipment for home use, nursing care facilities, and home health care services. What are my degrees, diploma, and certificate options? Is the Respiratory Program Accredited? YES! 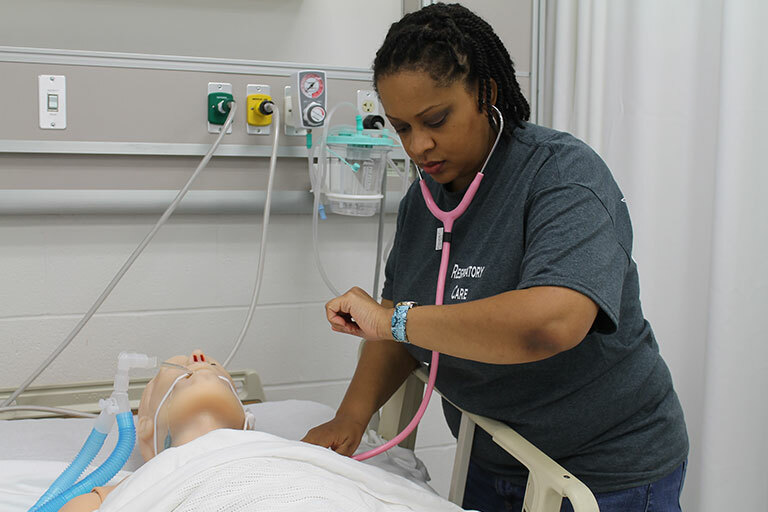 The Respiratory Therapist Program at Big Sandy Community and Technical College has received Continuing Accreditation from the Commission on Accreditation for Respiratory Care (CoARC). For more information on CoARC or to find out how to contact the Commission, please visit their website.